See how similar the new and old brick will be? From a distance you’ll hardly be able to tell that it isn’t original. I filed into the auditorium on the 11th floor of the Coleman A. Young building in downtown Detroit at 6 p.m. on a Wednesday. Our date with the Historic Commission finally here. We were on the agenda last month, but the meeting was cancelled due to a power outage that sent most of downtown into chaos. None of the traffic lights around Campus Martius were working, forcing everyone to figure out a traffic circle without actually hitting pedestrians. Let’s just say I’m glad I wasn’t a pedestrian. Karl and I didn’t really know what to expect. Mostly, we were there to listen and support our contractor, who would be presenting on our behalf. We weren’t asking for much; just that they allow us to clad the south wall in brick. It would mimic the other three elevations, including the limestone window sills and brick banding, so we didn’t expect any trouble. But still, we’d heard stories. We listened as the commission and a structural engineer went round and round and then around again on whether a building was collapsing on itself, what constituted a collapse, and whether it was, in fact, just one strong wind away from collapse. For a while, I thought I was going to eat my arm off as I used it to gag myself so I wouldn’t blurt out something. We were warned in the beginning that the room’s acoustics were so spectacular that the committee could sometimes even hear whispers from the antechamber. It was tough hang — and I enjoy public hearings. So we weren’t exactly sure what to expect when we stood before the committee and had our requests read into the record. But after all that time and uncertainty, we were ready to present our case; tell them about our loving renovations and why they were historically appropriate. We were ready for a debate! We told them yes, it would be very very close. Size and color would be near identical; the only difference would be a slight variation in texture. They looked at us and made a motion to approve our request. Less than 10 minutes before the commissoin and we were good to go. We were thrilled. We’d passed the historic commission. Woohooo! All that worry for nothing. And yet… it was anticlimactic. We were ready to explain ourselves and everything we were doing. We wanted to tell our story. But apparently our identical brick made it unnecessary. I think that means we’re doing a good thing. I hope they remember that in the spring when we go back to get approval for our vegetable garden. Maybe we’ll get to debate whether it is or is not, in fact, a garden. BTW, this is the system we are using for the brick. It’s a thin profile brick — sort of like a veneer but with real brick — that was used on Ford Field. They have to cover the wall in these metal tabs (photo below) and then the brick adheres to that. Then they go over it with real grout lines. All the beauty of brick without the weight! See that? 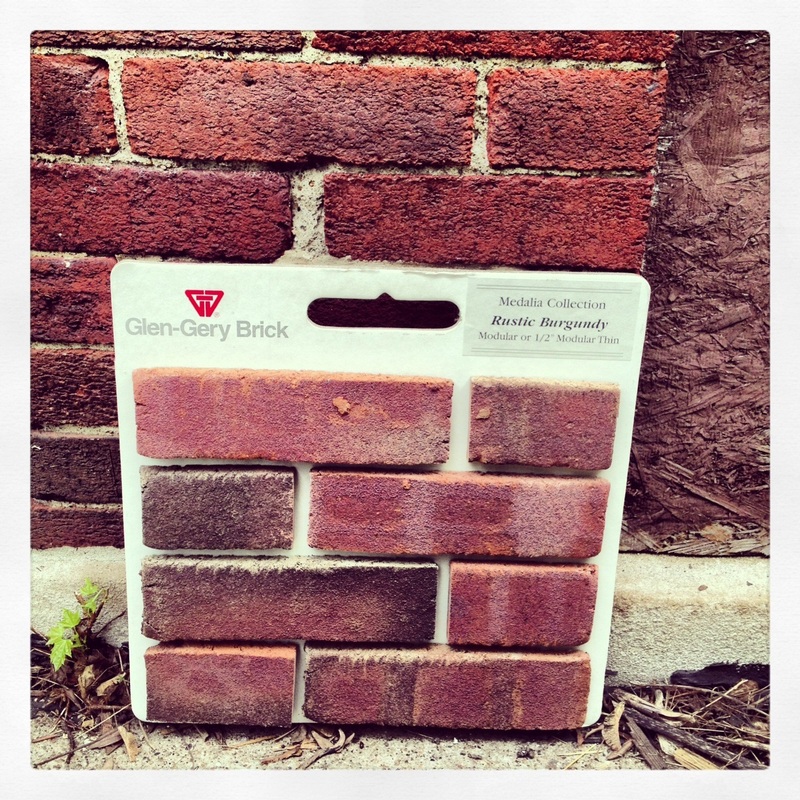 Apparently it's what the brick will affix to on the south wall of #detroithouse It is all happening! A great milestone, (not to be confused with a mill stone), has past. Can’t wait to have you guy living the dream in our ‘hood. Good news indeed!